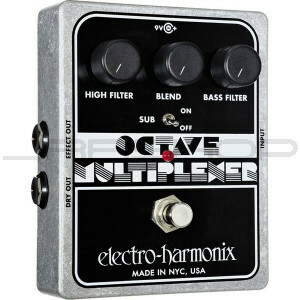 The Octave Multiplexer is finally back, generating deep, phat bass tones one octave below the notes you play into it. Dividing the Octave Multiplexer from other octave devices are the two separate smoothing filters that enable you to tailor your sub-octave signal to the exact bass sound you desire. Run your vocals through the Octave Multiplexer and sound just like Ike Turner.